Land and Minerals Consulting Ltd (LMCL) was formed in 2004 as a geological, geotechnical and surveying consultancy. 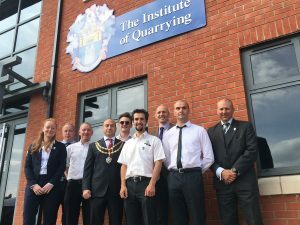 The Company adopted the trading name QuarryDesign in 2006 to promote its links with the mineral planning consultancy Quarryplan Ltd. LMCL specialise in the remote acquisition of survey, geological and geotechnical data using long-range high-accuracy LiDAR scanners and various UAV mounted aerial systems. Since 2013, LMCL also trades under the name of DroneSurv (a name more suited to aerial work outside of the quarrying industry). LMCL not only has the expertise to acquire the data; but have the experience, software and hardware to process the data into formats required by a wide range of industry standard surveying, geological modelling and geotechnical analysis software. With that software, they are able to undertake both the analysis and subsequent designs for excavations, tips and lagoons in both engineering soil materials and rock masses. They also provide Reserve and Resource Statements to The PERC Reporting Standard, Due Diligence for mineral acquisitions and act as Expert Witness. LMCL have undertaken projects for a wide range of industries including surface and underground mining, quarrying, coastal erosion surveys, sink-hole and crown-hole surveys, rock-fall surveys, and slope monitoring surveys. They have worked extensively in the UK and also worked in Ireland, France, Norway, Spain, Portugal, Gibraltar and Bangladesh. 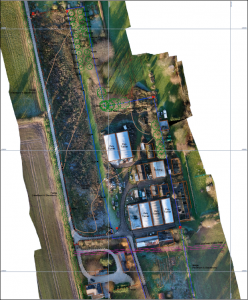 Under the QuarryDesign trading name, the Company was awarded Joint Runner-up in the Engineering Initiatives category of the Mineral Planning Association’s Health and Safety Awards 2013 for their use of Terrestrial LiDAR and UAV for remote Surveying and Geological / Geotechnical mapping.